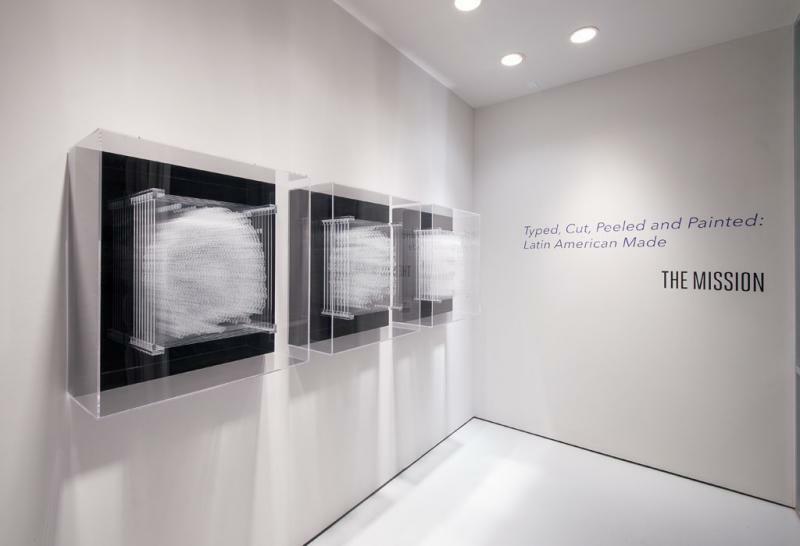 HOUSTON, TX (10/27/15) – THE MISSION is proud to announce Typed, Cut, Peeled and Painted: Latin American Made, a pop-up exhibition featuring artists living and working in Latin America. 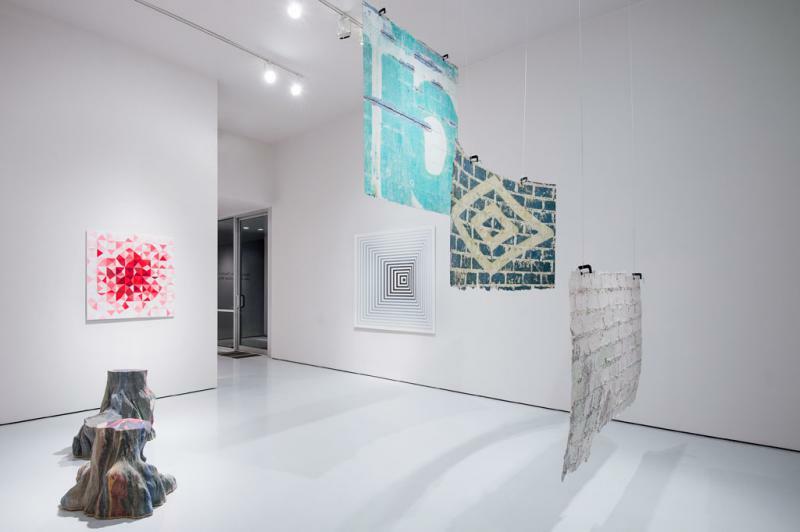 The exhibition includes work by Natalia Cacchiarelli (Buenos Aires, Argentina), Gustavo Díaz (Buenos Aires, Argentina), Miler Lagos (Bogotá, Colombia), Jerry Martin (Lima, Peru), José Carlos Martinat (Lima, Peru), and Michelle Prazak (Lima, Peru). An opening reception will be held on Thursday, November 19 in McClain Gallery’s west annex from 6 to 8pm. 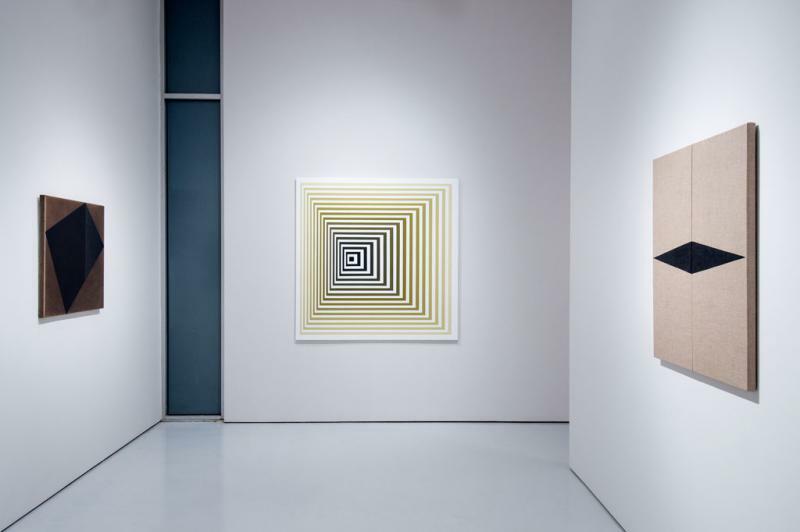 Highlighting a range of media, Typed, Cut, Peeled and Painted exhibits a generation of Latin American artists that emerged after the influence of European Modernism, which aided the development of Op Art, geometric abstraction and a collaborative, politically driven form of Conceptual Art. 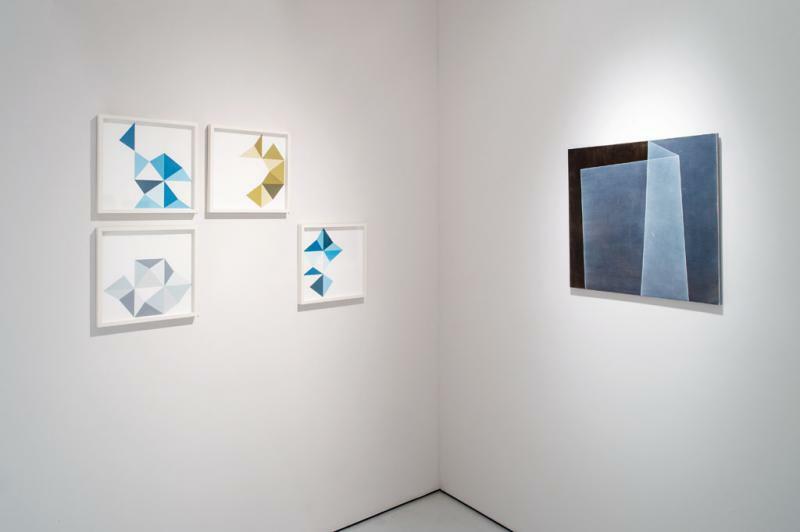 Geometric paintings by Natalia Cacchiarelli and Michelle Prazak reveal each artist’s exploration of the reduction of forms on the two-dimensional plane as a means to produce illusory dimension on canvas. 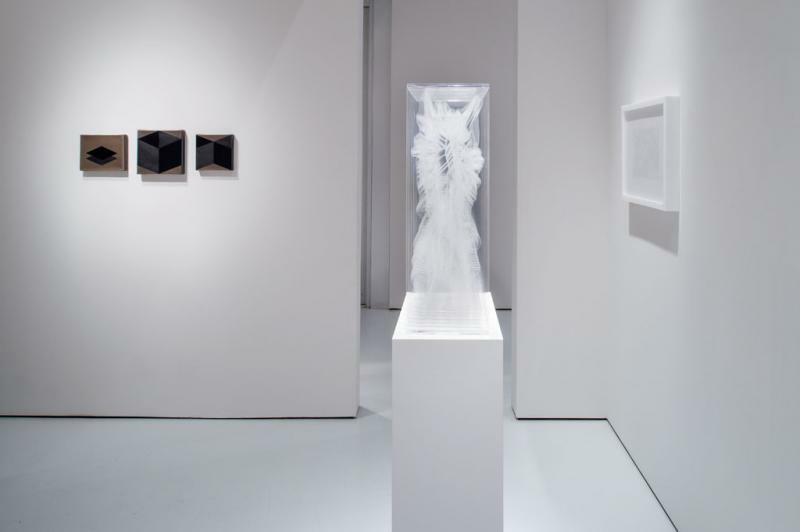 In contrast, Gustavo Díaz’s multi-layered, laser-cut acrylic sheets manifest three dimensions containing repetitious engravings carefully rendered from the artist’s observations in science and Chaos Theory. 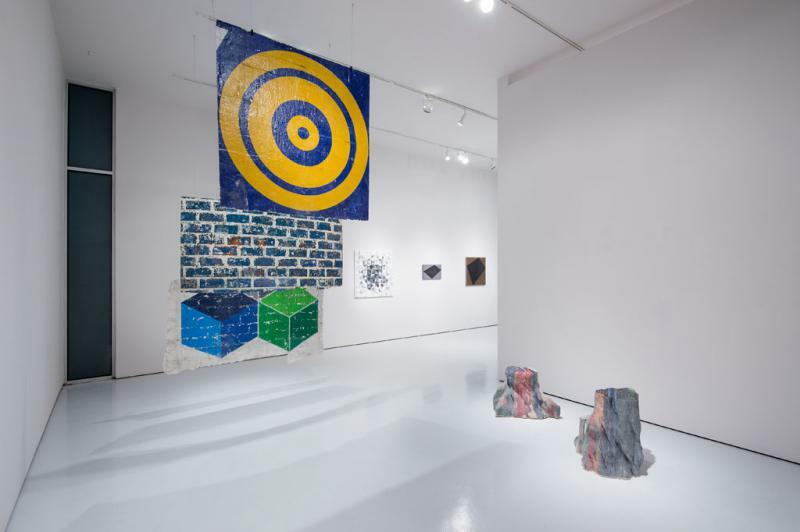 Departing from pure abstraction, José Carlos Martinat suspends transfers of political logos, slogans and graffiti –- extracted from public spaces -– from the ceiling of the gallery. Also influenced by political themes, Jerry Martin’s Angels of Apocalypse is included in the exhibition. Martin uses a typewriter to transcribe layers of appropriated text to depict iconic artists -– such as Cage, Pollock and Baldessari -– in positions that mimic the actions of Michelangelo’s angels in The Last Judgment. Lastly, the exhibition features carved stacks of textbooks sculpted into representations of tree trunks by Miler Lagos. 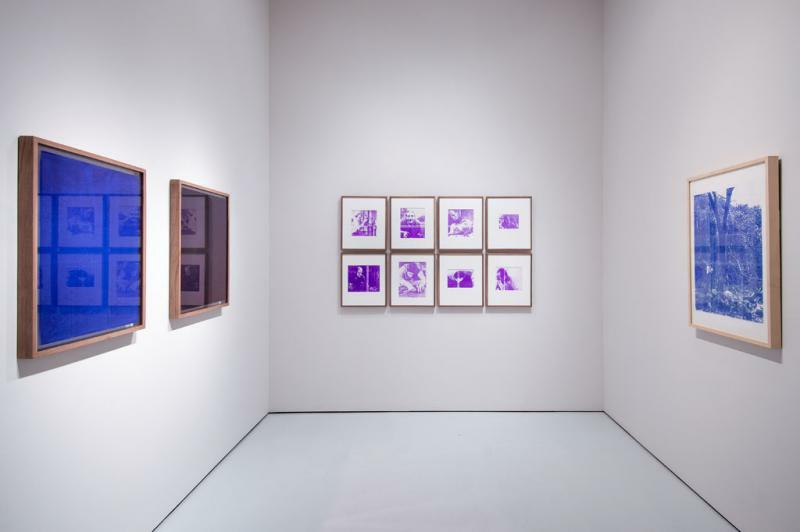 Typed, Cut, Peeled and Painted: Latin American Made brings together a host of pioneering Latin American artists that investigate and dispute the bounds of their media. 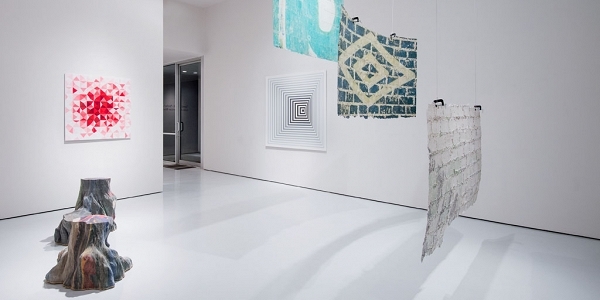 The exhibition will be on view through December 19, 2015.